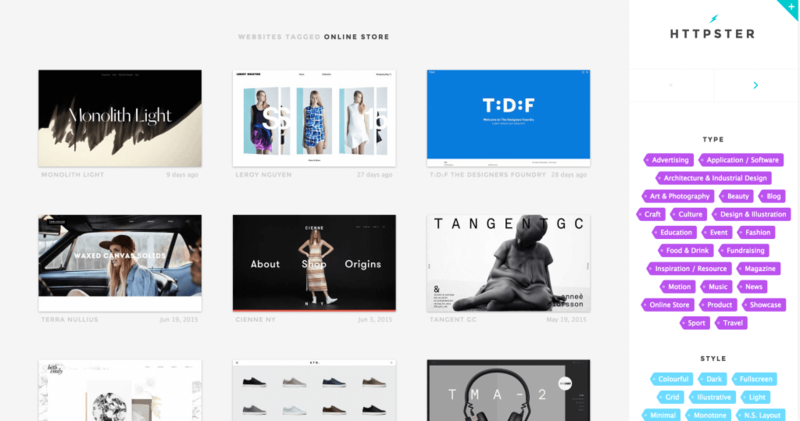 Looking for some design inspiration for your new ecommerce shop? Or maybe you’re looking to redesign your existing shop? 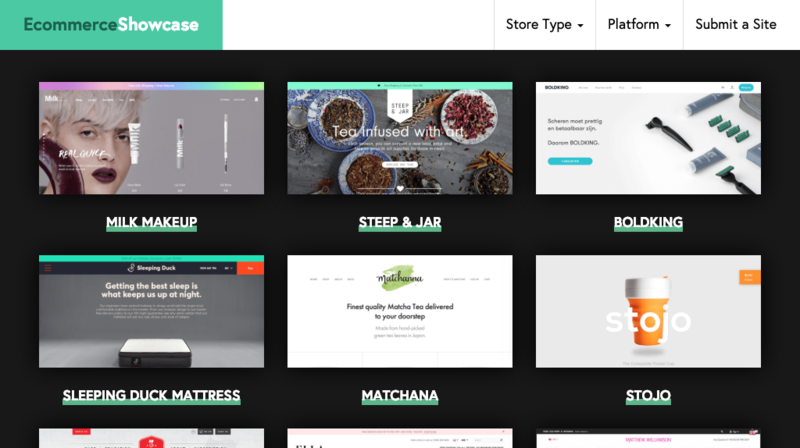 We here at Tribe are always looking at shops across the web, both for ecommerce design inspiration as well as keeping on our eyes on the industry in general. 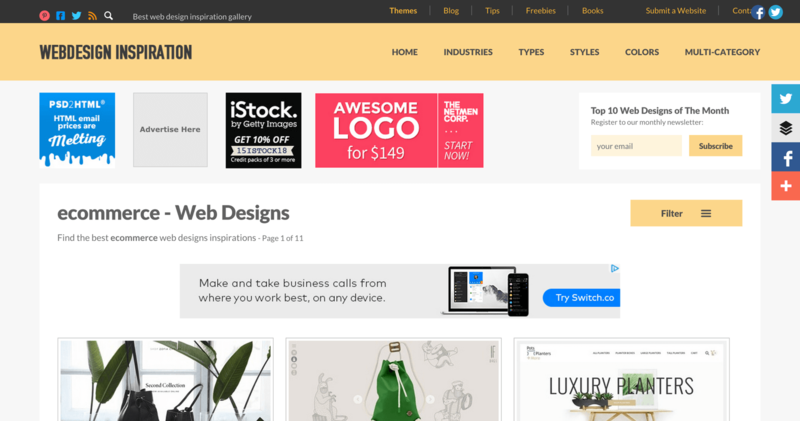 Compiled below are a list of our favorite web design galleries that we use for ecommerce inspiration. 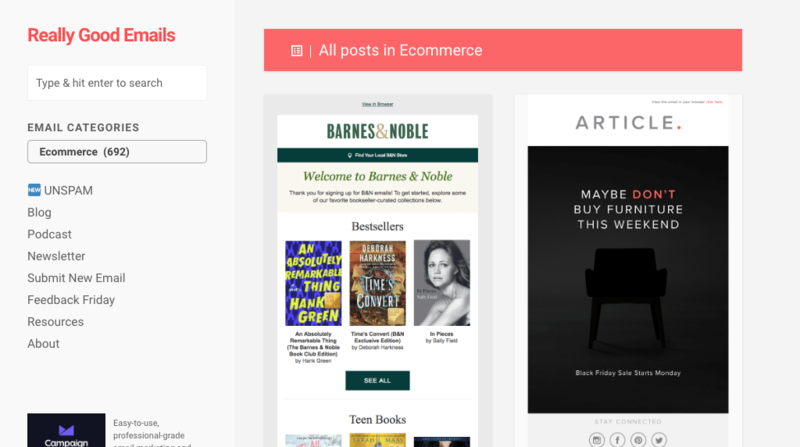 Ecommerceshowcase.com is an ecommerce design inspiration gallery that we created originally as an in-house tool. 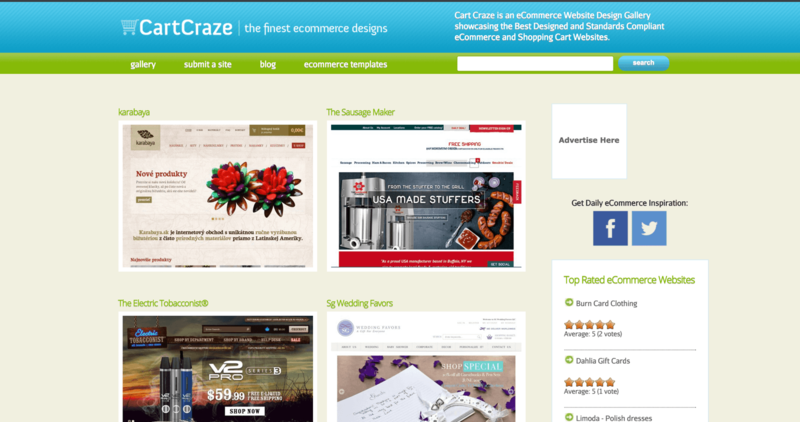 It showcases the latest in ecommerce site design and allow you to filter by ecommerce platform or store type. Check it out and let us know what you think. Another ecommerce focused design inspiration gallery but part of a larger network of galleries called “InspirationFuse”. Not ecommerce focused, but they do have a “shop” category that has a focus on ecommerce. With over 4000 sites in the gallery, this site is worthy of being on this list. 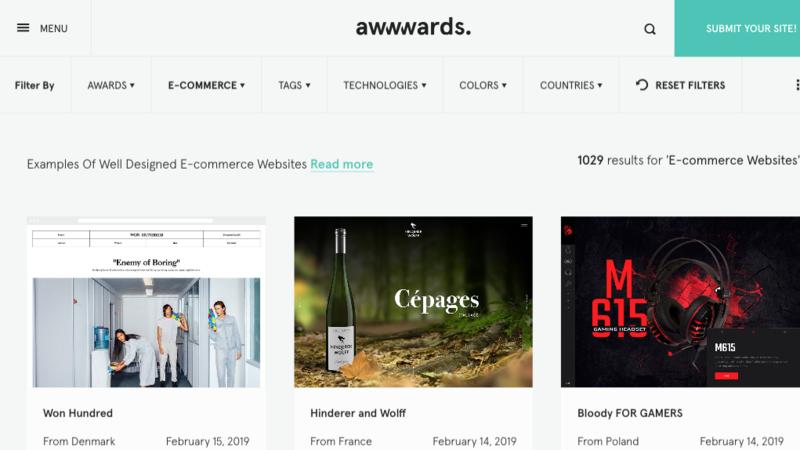 Not the prettiest site of the list, but worthy to be here because of it’s focus on ecommerce only. 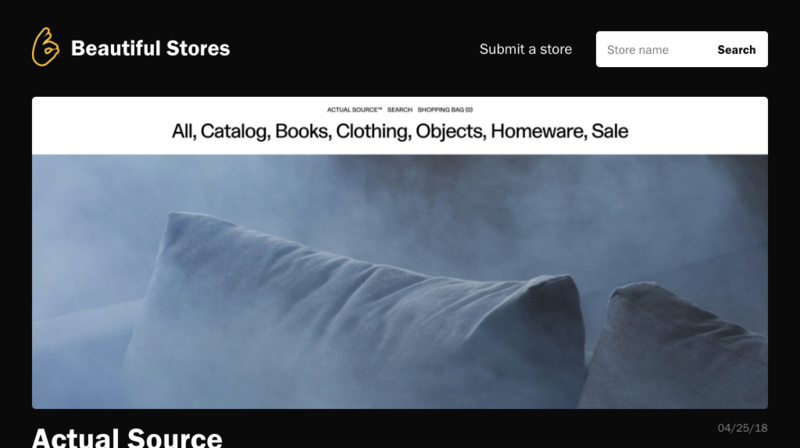 A minimal design inspiration gallery with an ecommerce category. One of the nicest looking galleries we’ve seen with some good filtering and keyboard navigation shortcuts. The sites here look to be carefully curated. It’s definitely one of our favorite inspiration galleries. 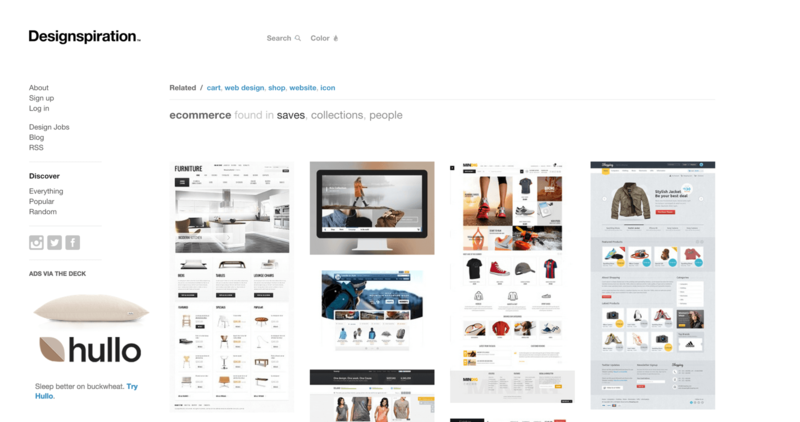 Design inspiration is another general gallery with an ecommerce category that allows you to search by color. 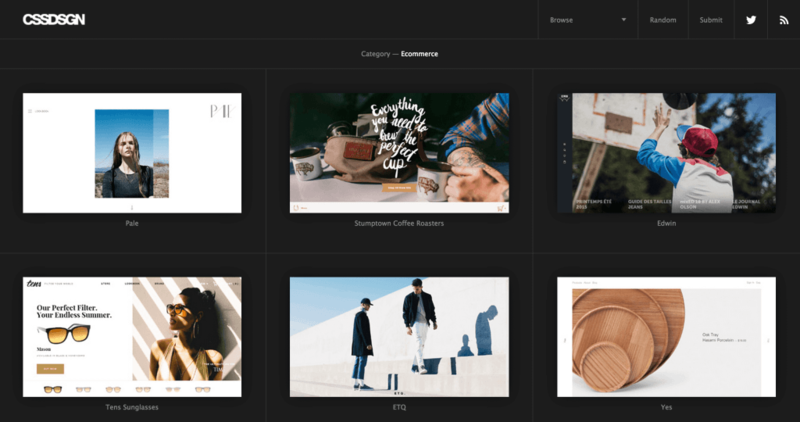 Another cool feature of design inspiration is that each site featured has a full page screenshot so you can see the entire site without ever having to go to it. 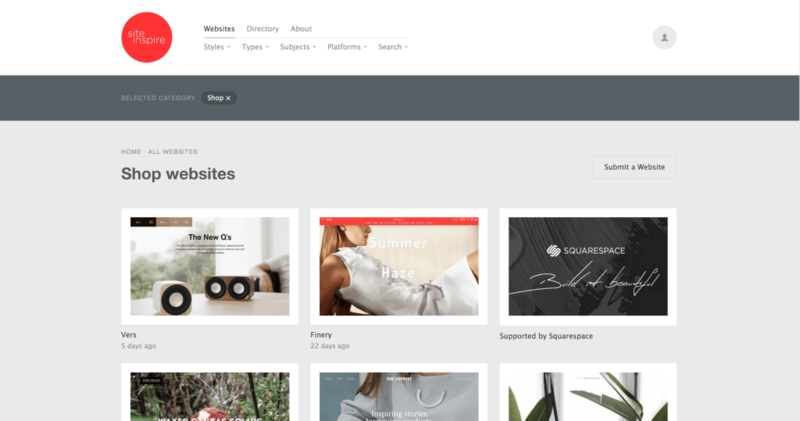 WooCommerce is our ecommerce platform of choice, and they’ve recently launched their own design inspiration gallery. 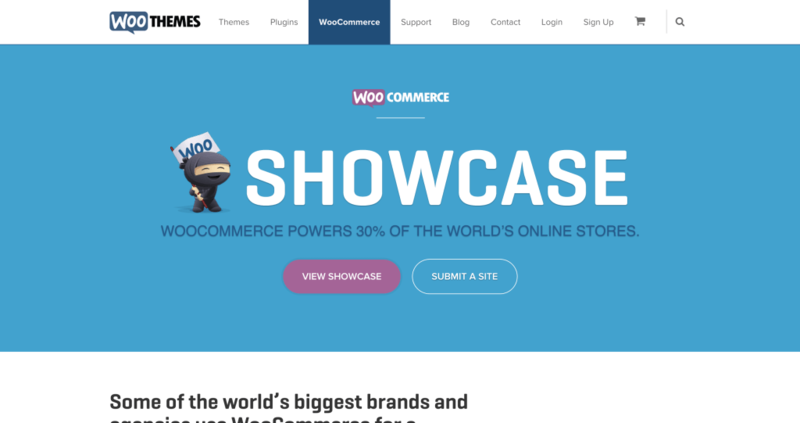 If you’re looking for WooCommerce powered shops, here’s the first place you should go. This site is again, a general design gallery with an ecommerce category. 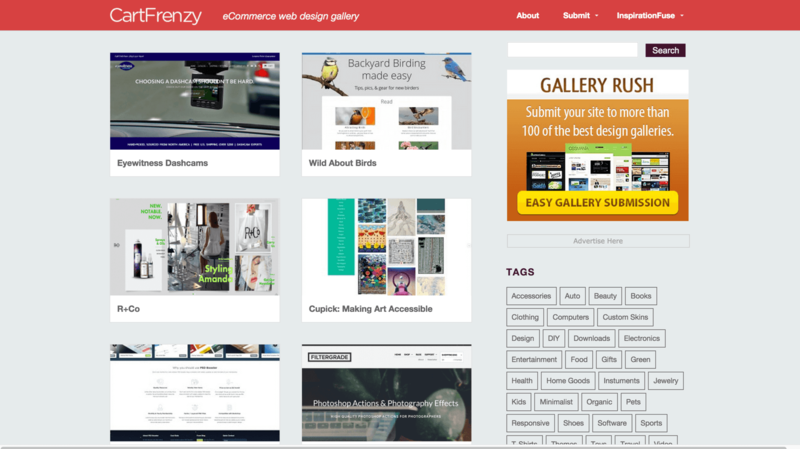 A unique function of this gallery is being able to filter by industries, styles and colors . 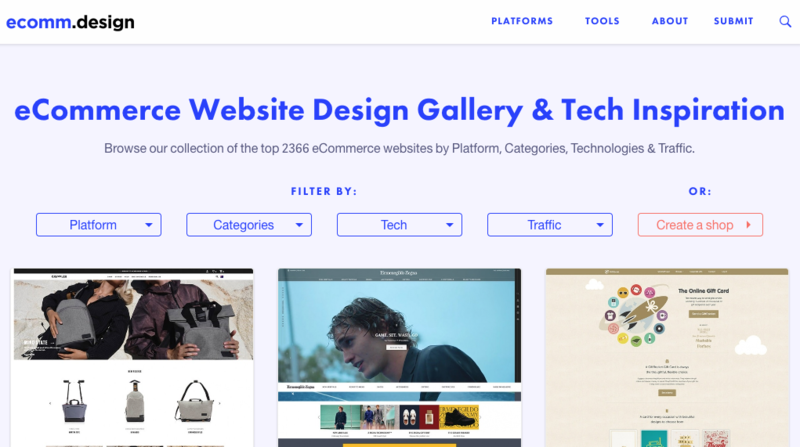 A collection of the top 2000+ eCommerce websites by Platform, Categories, Technologies & Traffic. Another ecommerce focused design gallery that looks to have been built on the Shopify platform. 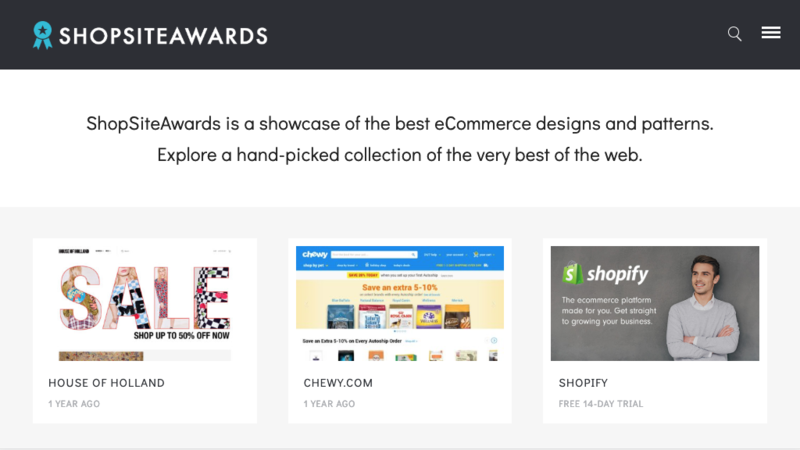 ShopSiteAwards describes itself as a showcase of the best eCommerce designs and patterns. You can filter by subject, style or pattern. Last but not least, really good emails showcases great emails delivered by ecommerce stores and more. As they describe it “The Best Email Designs in the Universe”. What do you use for design inspiration? Let us know if you have any sites we haven’t included. We’d love to add them to our list.